This is one of those recipes where you can really have fun with spices. I used Sumac because I'd just replenished my supply and had missed it. 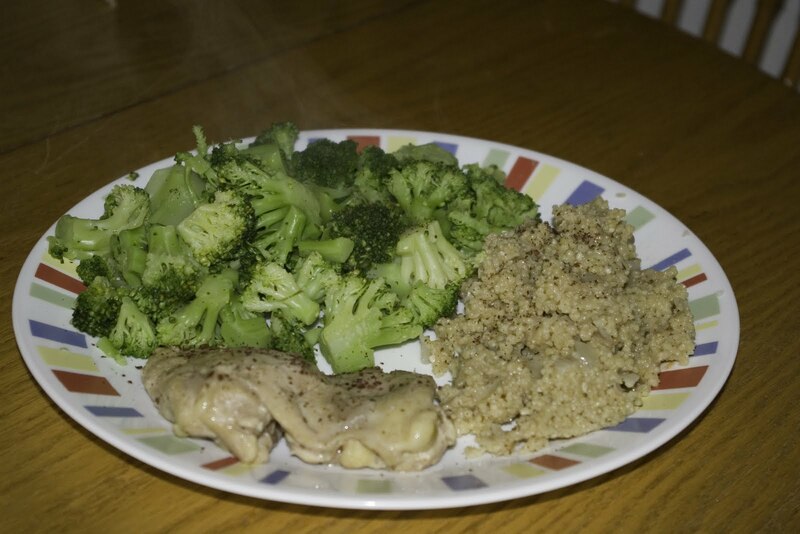 You could just as easily use dill or oregano or curry or any other spice that sounds appealing to you. Heat olive oil in skillet over med-high heat. 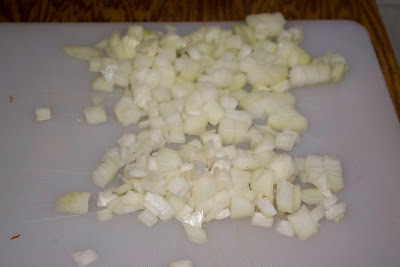 Add onions and garlic, stirring lightly for 2-5 minutes. Whisk potato flour into milk. Pour over onions and garlic. Reduce heat to med-low and stir in spices. 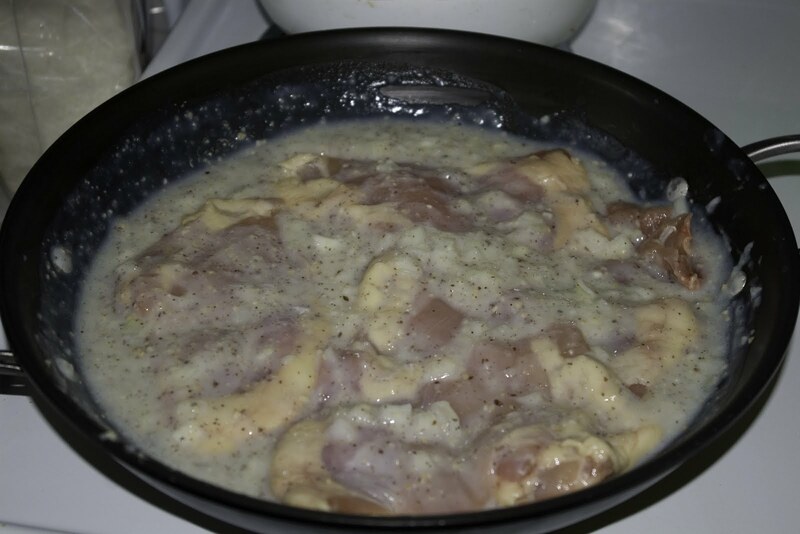 Place chicken thighs in mixture, covering completely (see image right). Cover and simmer for 35 min or until chicken is thoroughly cooked. 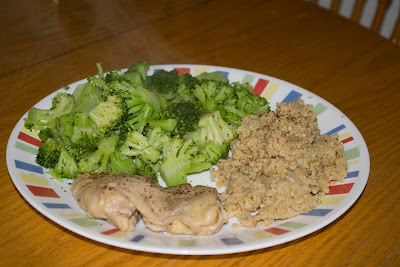 Remove chicken and add cous cous to liquid. Stir and cook over low for 5 minutes.